“People’s understanding of disasters will continue to be constructed by media. How media members frame the presence of risk and the nature of disasters matters.” – Celine Marie Pascale, American University, Mar 10, 2015. Fearing radiation; terrified by the nuclear option. Perfectly sensible instincts that never seem to convince establishments and those who have long ceased to loathe nuclear power and its various dangerous by-products. 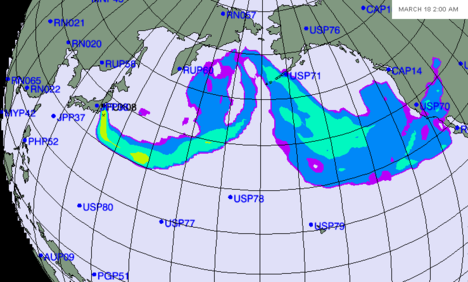 Each nuclear disaster, such as the meltdowns at the Fukushima Daiichi plants five years ago, come with its treasure of apologetics and justifications. The reason is always the same: nuclear energy is safe and we cannot really do without it. To that end, the emergence of “radiophobia” is a designation that dismisses as much as it supposedly diagnoses. It pokes fun at those ninnies who think that they are about to perish because of the effects of nuclear catastrophe and radiation contamination. Risk, according to this philosophy of concerted denial, is always exaggerated. Smile with upbeat confidence, and the problem goes away. If people are depressed before radiation, suggests Yamashita, they will succumb as the negative dramatists they are. “Stress is not good at all for people who are subjected to radiation.” Then again, stress could hardly be deemed good for anybody in particular, irrespective of radiation. Sociologist Celine Marie Pascale of the American University, on scouring some 2,100 news stories from four media outlets (The New York Times, Washington Post, The Huffington Post and Politico) came to the conclusion that a strategy of minimisation was underway. The implications of such an event had to be downplayed, de-emphasising the risk of massive contamination and environmental disaster. A mere 6 per cent of the articles examined the health implications of the event. A necessary process of mendacity has to come into play. The Tokyo Electric Power Plant (TEPCO), Japan’s largest power company and owner of the affected power plants, initially denied the existence of meltdowns when it knew three had taken place. It was a process of deception that continued for three months after the event, a situation made even more absurd for the fact that hundreds of thousands were evacuated in the vicinity. It is a disaster episode that keeps on giving. The nuclear genie is a creature that encourages the lie in planning establishments. There are lies about safety; there are lies about legacies. As Jacobs suggests, the Disneyfication of disaster sites affected by the nuclear or atomic scourge is all too real. The Manhattan Project that led to the development of the atomic weapons used on Hiroshima and Nagasaki became “Disney theme parks of American exceptionalism”. The quest for the nuclear option in both the military and energy contexts saw massive environmental degradation. Even now, the ghostly sense of Fukushima should be a reminder of errors and negligence rather than dismissal and indifference. Jacobs suggests a simple but necessary formula to combat nuclear amnesia: see the impacts of radiation exposure “before they become vaguely visible as cancers nestled in health population statistics”.